As you know, we love reading stories and we also love sharing our views on the books we read….I think that all great stories have that power to connect with its readers, to make us believe that the characters could be you or me, or we might know them amongst friends and family. We also like it when these characters beat all the odds to fulfill their dreams, no matter how big or unachievable these dreams appear to be…..So when we came across just such a story, we couldn’t wait to read and share with you. As we’ve often stated, the cover page plays a very important role in book purchase and read decisions. Let us take a look at the cover of this book. We can see Dipa Karmakar in a gymnastic pose. She looks gorgeous and inspirational at the same time. It is a kind of signature gymnastic post which people will remember even after completing the book. An impressive cover. Well, the foreword for the book needs special mention as it is supplied by none other than legendary Nadia Comaneci. If you have ever read anything about gymnastics, then you must remember her as the perfect 10 gymnasts of the 1976 Montreal Olympics. No one had ever scored perfect 10 in these events before. When such a talented gymnast praises Dipa, it is hard not to feel pride in her. Although the narrative is in the first person by Dipa, the credit for putting this book together is also shared by her coach Bishweshwar Nandi, and sports journalists Digvijay Singh Deo and Vimal Mohan. All three have little segments where they tell us about their association with Dipa and how their journeys have merged together. The book starts as Dipa takes us through her incredible Olympics performance, and how her euphoria at coming fourth soon became misery at missing a medal, partly due to media and peer pressure. That when friends and family and millions of Indians were celebrating her performance, she broke down. She tells us about the spectacular history of gymnastics in Tripura and the successful gymnast it has produced in last fifty years, followed by her childhood, her father’s sports background, her starting gymnastics training at the very early age and her progress through it over the years. The book has some priceless photographs from the history of gymnastics in Tripura and a lot more personal ones from Dipa’s household, family and practice arenas. As you know, sports in India is not seen as a money-making, stable job option. So the training and hardships to get to tournaments are all there. But she also mentions the people and opportunities that help our sportspersons. She also tells us about her family, her stubborn nature, her fights with her sister, her delight in street food, just like any other girl her age. And also her determination and grit to see things through. As she says, there are many talented girls with the same abilities as hers, but they don’t always get their moment in the spotlight due to numerous reasons. This is also the story of setbacks – multiple times- before the Olympics as well after, including the current times, when she is working towards making a full recovery from a serious injury. But the target is set – Tokyo 2020. And she will be there…..to make history again. It is not possible to read such a story and not be moved by it. And all through it, she just sounds like a girl next door in any Indian village, with same family values and same opportunities and limitations. Throughout the book, you can see her loyalty for her sport and for her coach. She mentions multiple times how Indian coaches get sidelined when their wards get the attention. And how a lot of people in India still lean towards foreign coaches against Indian coaches. You are happy for Dipa as she wins medals in spite of hardships and sympathize with her when her luck seems to not help. And that has been more than a few times. Her career is made up of hits and misses, injuries and recoveries, waiting just a little bit longer than required for that dazzling minute of glory. But she wins in the end, not only because of her merciless routine of practice, but also the will. You see how she and her coach put together a strategy and went for the death vault – which not many gymnasts around the world can do – to give her that extra edge in the world-class competitions. Sport is as much about image and strategy, as it is about hard work and bodily strength. “Winning is everything in world sport. You win a medal, you are feted; you return empty-handed and no one is at the airport to receive you. I had gone through the entire gamut of emotions over the course of my career till the high of the medal at Glasgow. A part of me wanted to rebel, to shout from the rooftops, and call out everyone who had belittled me. I still do not understand why we wait for the first opportunity to pull someone down. The pursuit of sporting excellence is a long road, of course there will be bumps along the way but we do not seem to have the foresight to put a comforting arm around a sportsperson when he or she is reeling after a not-so-good performance. The struggle of a sportsperson is never ending. It is a constant battle to prove your credentials. Breaking through in Indian sports is, especially, a tough ask. However, once you break through, all roadblocks seem to disappear. In those seven days, we had become part of the gymnastics’ elite. We were no longer the outsiders from India. But ultimately you are remembered for the medal. On August 14 I finished fourth, and returned to being an outsider. No dream is small. You have to believe in yourself. 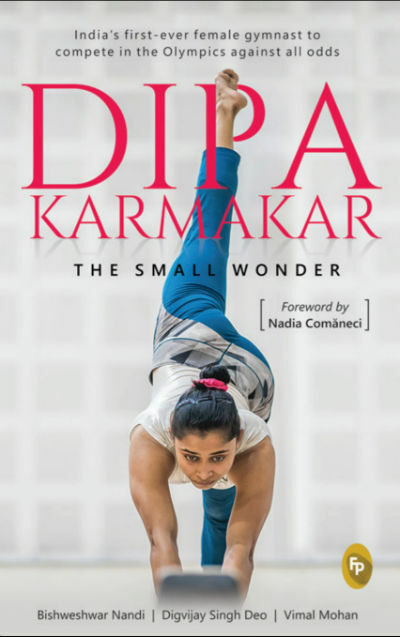 This inspirational story is just what you need to read, to give you that extra boost if life is looking a bit hard at times, or increase your happiness in the world if you’re doing great and be inspired to love and support not only Dipa Karmakar, but all those in the sport of Indian gymnastics who made her journey possible, and will make it possible for all young athletes following in her footsteps. 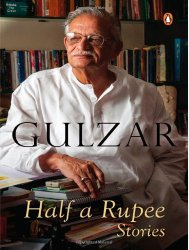 The book price could have been the only factor in addition to lack of awareness for other sports than cricket in India, which make people hesitate going for it.